In the property game, the kitchen is a key room within a home, and most owners are aware that ‘kitchens sell houses’. So when your property is up for sale, it’s the number one room that you want to renovate to add value – and inspire buyers to pay more. However most home owners are aware of just how easy it is to overspend during any renovation, which then eats into your profits when the time comes to sell. 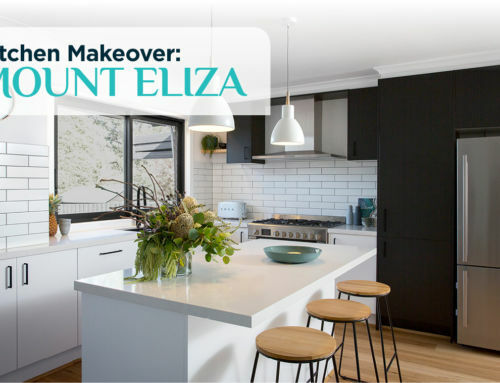 So how do you ensure that you’re actually adding value to your home with a kitchen renovation, which will give you returns to make it worthwhile? Before you renovate your kitchen, consider a few of the factors below. Your new kitchen’s style and size should be relative to the home itself. Take cues from the overall architecture for style, whether classic or contemporary, as well as your existing décor. The kitchen space should accommodate the people that will live there, their style of living, and the amount of entertaining the owners like to do. For style that sells, it needs to feel well designed and fit with the rest of the home. Keep this in mind when selecting cabinetry door profiles to door handles – ensure that your selections feel like they connect back to other rooms in the house. 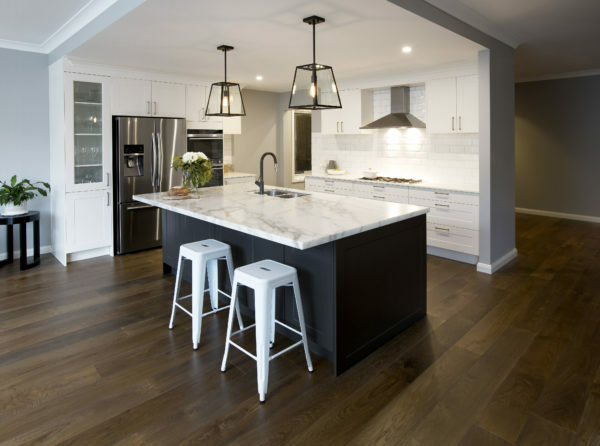 If you need help, Kinsman Kitchens have experts on hand that can advise on creating kitchens of any size and style, making your planning much easier. To make a good impression, a seamless flow from one room to another is key. Draw from the same colour palette as the living and dining areas to achieve this – but also be mindful of the timeframe for when your property will be put up for sale. If you plan to live in the property for a while before you sell, then you’ll want to design more to suit yourself than the current market. Having said that, try to steer clear of elements that are likely to date. Classic design and good quality materials won’t go out of fashion, but you can still inject some wow factor into your kitchen – remember that a space that looks too basic and plain won’t inspire buyers any more than it does you. Consider elements that will capture attention in a good way. 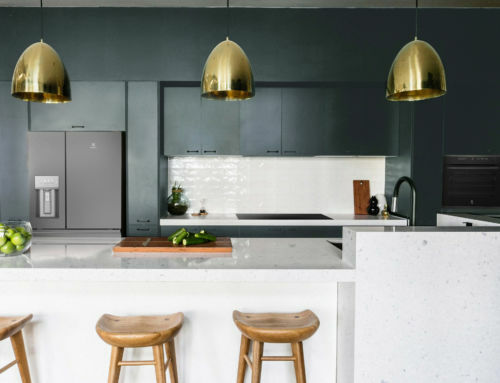 Check out the textured concrete range in Kinsman Kitchen’s latest Designer Catalogue to see how these finishes can elevate the impact of your kitchen. A low-commitment way to create impact is details that can be easily swapped out down the track. Explore handles in jewel tones, statement splashback tiles, or striking pendant lights for a dose of wow factor. Long term or short term, quality cabinetry with soft-close features, backed by a long warranty, like Kinsman Kitchen’s 7 year warranty will always be a wise investment.  This warranty is available with the Designer range for forever homes, as well as the ready-to-assemble Xpress flat pack range, which is an ideal option for flip projects. When deciding what level of finishes and appliances is appropriate, take the lead from other successful sales in the area and match what the buyers are seeking. There’s no need to go premium if the area doesn’t expect it. If the demographic mainly attracts families, then a spacious family kitchen will always be high on the buyer’s wishlist. If you only tick two boxes, make them these ones: a functional layout and plenty of storage. Updating the layout to be more spacious and functional is a major improvement you can make to an older kitchen. 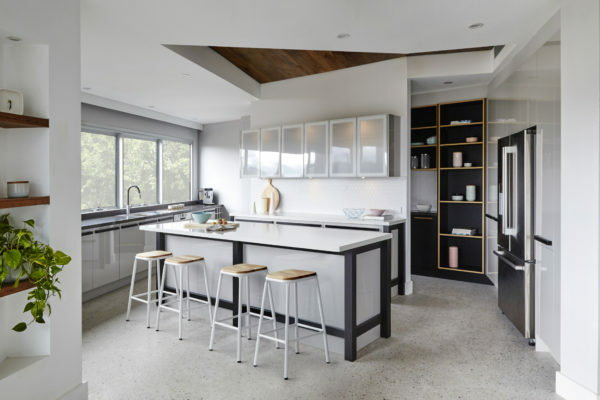 Adding an island bench into the layout is also a sure way to add value, as it’s the most desirable layout for modern kitchens used as the hub of the home for not only eating, but also working, and entertaining. An island benchtop need not cost the earth. If the area you’re selling in doesn’t demand the premium surface of a natural or engineered stone benchtop, then consider the latest range of quality laminate; they now mimic natural surfaces like stone and timber amazingly well and are highly durable, with a much lower price point. 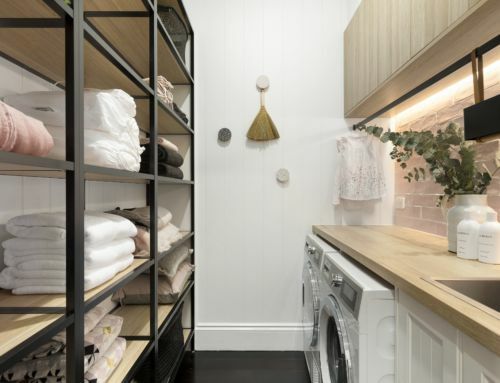 Solving the age-old problem of lack of storage is another opportunity to add value to your property, and adding storage underneath the island benchtop will always be welcomed by potential buyers. 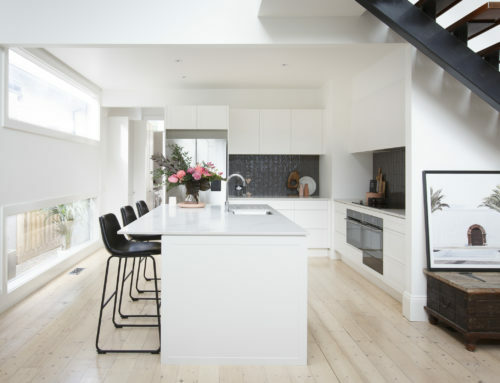 Significant improvements can be made by modernising a kitchen’s layout and design, as well as incorporating clever storage – these features will most certainly motivate buyers to pay more, when you’re ready to sell. Want to speak to an expert about adding value with your new kitchen? Contact Kinsman Kitchens today to book a free design consultation at your home.